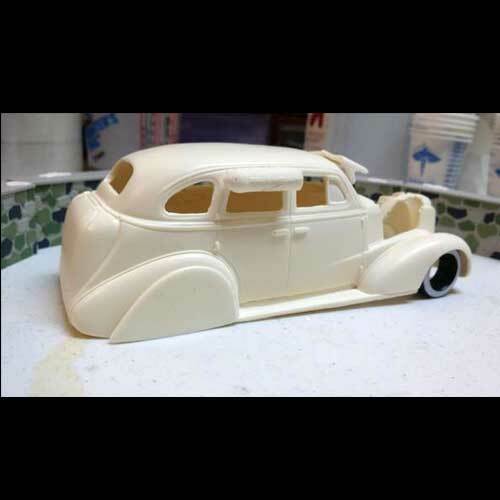 1937 Chevy 4-Door by Boulevard Resin. 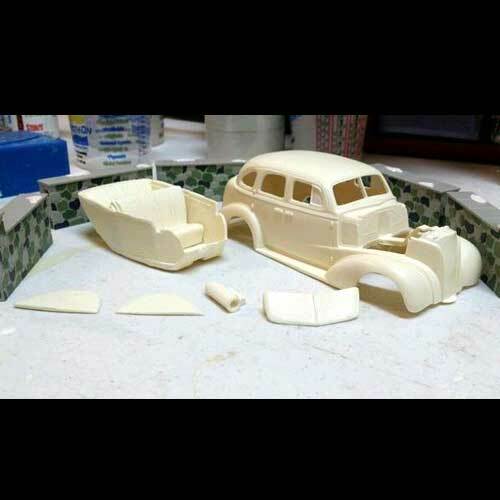 Resin cast 1937 Chevy 4-door. Requires an AMT 1/25 scale coupe, or convertible as a donor kit to complete. Body includes interior tub, front and back seat, visor, skirts and swamp cooler.